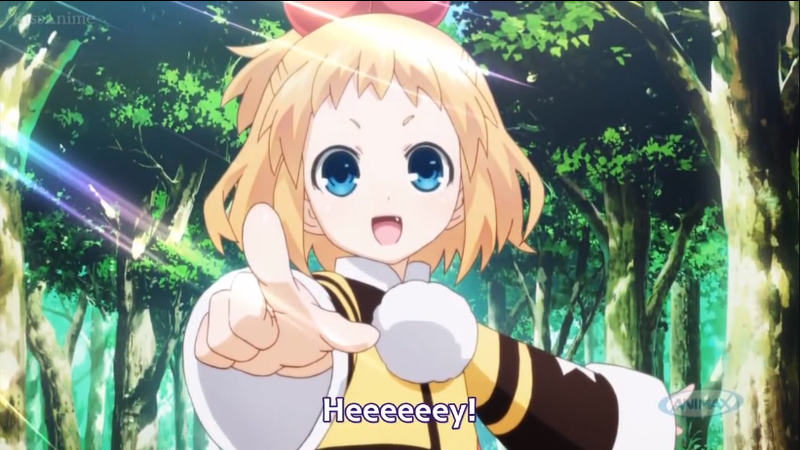 I am so ashamed as to how late I am in watching the anime adaptation of Hyperdimension Neptunia. I am a massive fan of the video game series and seemingly one of the few people who actually enjoyed the first game. The battle system didn’t even bother me, nor the healing system. Alright the healing system did a little bit… Over time I earned the platinum trophy for the first game as well as MK2, and am currently in the process of working towards the platinum for Hyperdimension Neptunia: Victory. Therefore being such a big fan I was shocked by how easily this anime fell off my radar. I rectified this very recently. I came in with high expectations. The game after all works and feels like an anime, right? It has all of the anime tropes and is chock full of hilarious jokes and parodies that you’d think would translate well into an anime, and it does – if you haven’t played the games. Having played all of them I couldn’t help but sit there and feel awkward in regards to how the characters interact. They sure were the same character models but that’s as far as it went in my mind. They aren’t that friendly to each other! 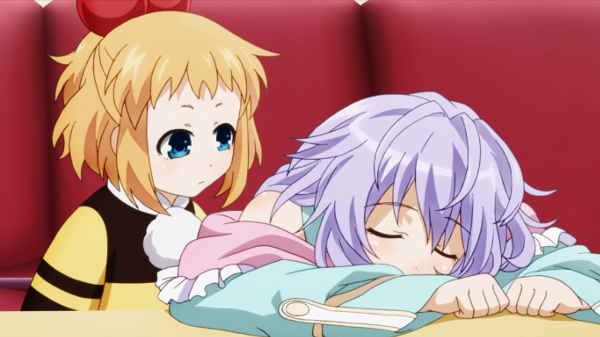 The CPU Candidates are a lot nicer to Neptune, particularly Rom and Ram. Uni is incredibly different. Argh! The anime takes place in GameIndustri where the console war rages on. Each character represents a company (Sony, Microsoft, Nintendo etc) who compete with each other to earn shares which are basically customers loyalty to the brand. The story starts with the four CPU’s having signed a peace treaty to work together and end the console war. It doesn’t stay peaceful for long as the usual suspects are back to cause havoc in GameIndustri. This is where the anime loses some points for me. The characters while somewhat similar in regards to how they act in the video games are all so friendly to one another. This is such a giant contrast to how they interact in the games. There is hardly any tension between any of them and they spend most of the time playing video games together or getting out of situations that are downplayed. You have all of your typical anime tropes; tsundere, yandere, the MMO addict, the overly sexual deviant, the little sister, the ditzy character and much more. On top of that they all transform from their normal form into much more well endowed CPU’s. A bit hit and miss here. So much of the animes soundtrack is heavily recycled from the games which stands out like a sore thumb as those tracks are heavily recycled in the games themselves. The saving grace is that the opening/ending music is incredibly catchy. I tend to skip an OP/ED unless I find it amazing and I was quite taken with both of these in particular. 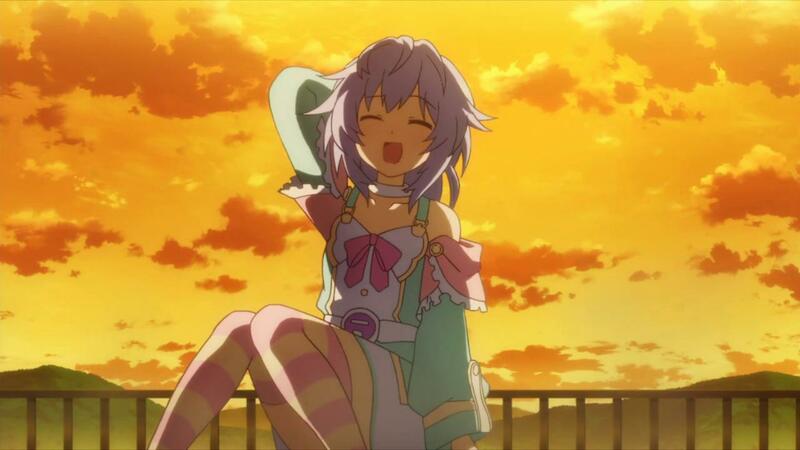 I quite enjoyed the anime as its own separate entity in the Hyperdimension Neptunia franchise. Putting aside the characters differences and how fast the anime glossed over a lot of the plot points, I found myself engrossed in the story and laughing at all of the jokes. The one thing the anime does deliver is fan service and lots of it. There’s never a dull moment when Dogoo’s attack. The game did throw us fantastic tidbits at times though. Conquest Ending reference! If you still haven’t watched this anime and want to. 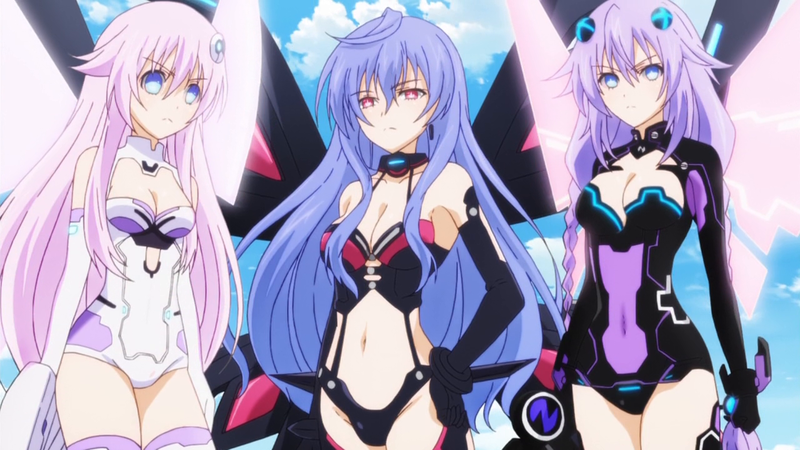 Don’t go in expecting the video game in anime form. If you just go in wanting to see more of the characters – you’ll enjoy it. ← My Top 10 Video Game Openings/Endings.